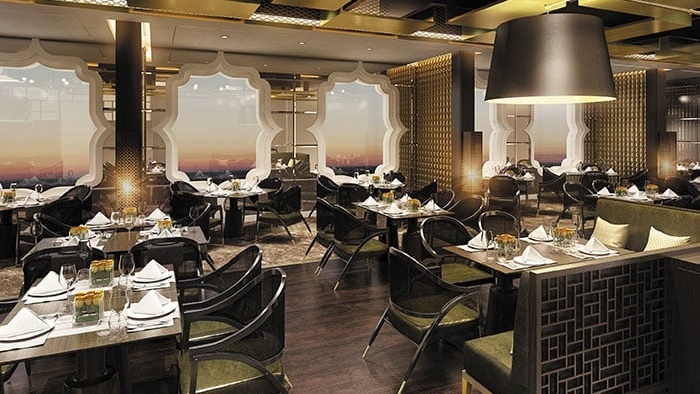 When Seven Seas Splendor sets sail in February 2020 she will offer innovative culinary experiences appealing to all the senses. 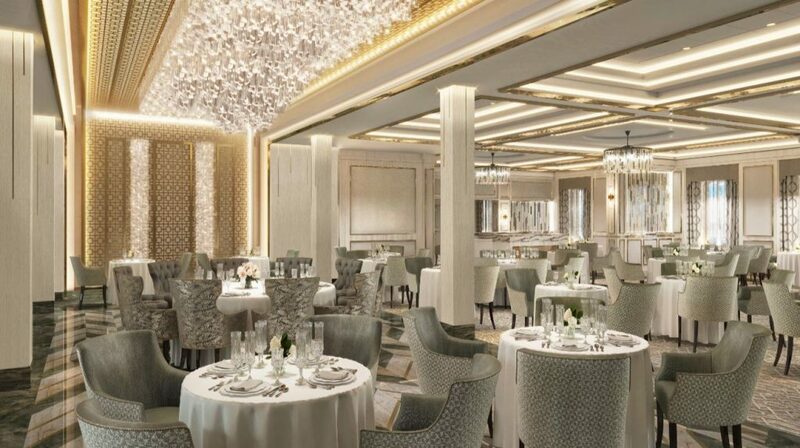 Regent Seven Seas Cruises’ new flagship will feature seven amazing dining venues which elevate the cruise line’s legendary cuisine, focus on destination dishes with local ingredients and culinary traditions from where Seven Seas Splendor is sailing. 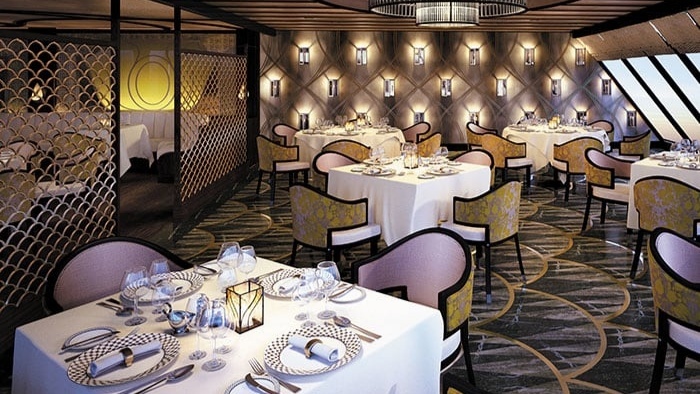 At the heart of Seven Seas Splendor is Compass Rose, the largest specialty restaurant on board. This sophisticated venue, with its exquisite chandeliers and bold Versace dinnerware, offers a multitude of choices and the ability to customize practically every aspect of your meal. This dramatic specialty restaurant features intricate architectural details, wood carvings and an immense art installation of a mythical dragon, setting the tone for the culinary journey that awaits. The Pacific Rim menu brings life to rich culinary traditions with a diverse array of delightfully prepared Pan-Asian dishes. Italy is always part of Seven Seas Splendor’s itinerary with Sette Mari at La Veranda’s delicious dinner menu of authentic Italian specialties, inspired by family recipes which were handed down from generation to generation. Why not start the day at La Veranda, enjoy a sumptuous breakfast while taking in the gorgeous ocean views, or savor the lunch buffets in the chic indoor dining room or al fresco on the shaded, open-air deck. 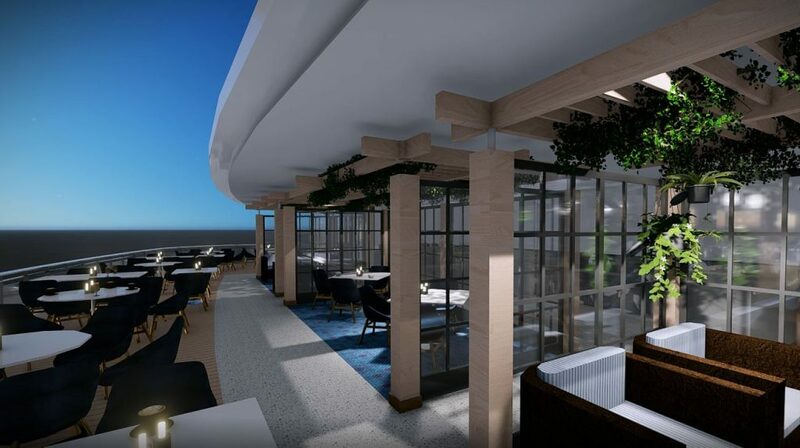 The new and stunning, over-water alcove seating jetting out over the ocean brings an even closer connection to the sea, surrounded on three sides by inspiring, magnificent views. This distinct specialty restaurant features classic French fare with a modern twist. Chartreuse evokes memories of a chic Parisian fine-dining restaurant discovered during an evening stroll along the Seine or just off the Champs-Élysées. Handsomely decorated with inspired uses of glass, metal and marble, Prime 7 personifies luxury at every turn. This intimate and elegant steakhouse exudes glamour and elevates the classic American fare to new culinary heights. 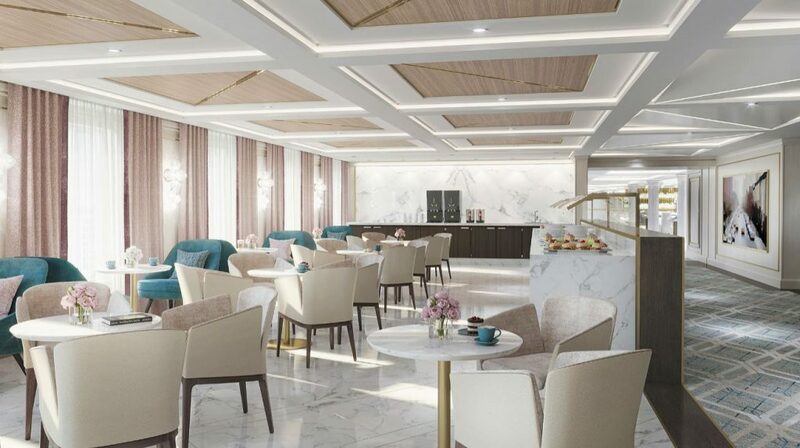 Exclusively aboard Seven Seas Splendor, you can enjoy a newly expanded Coffee Connection that feels like a classy metropolitan café with baristas delivering the perfect pick-me-ups alongside a number of delectable bites. Coffee Connection is designed with muted pastels and crisp whites. The elegant interior seamlessly transitions to trendy, open-air seating with astonishing ocean views on deck. Dining al fresco at the Pool Grill offers all the best views in any weather, whether enjoying a relaxed lunch or a casual dinner. An on-deck dining experience pairs perfectly with a panoramic view of the surrounding landscapes, including mesmerizing sunsets. Indulge in delicious regional barbecues or the freshly grilled fish of the day and refresh with the perfect milkshake and old-fashioned hand-dipped ice cream desserts. 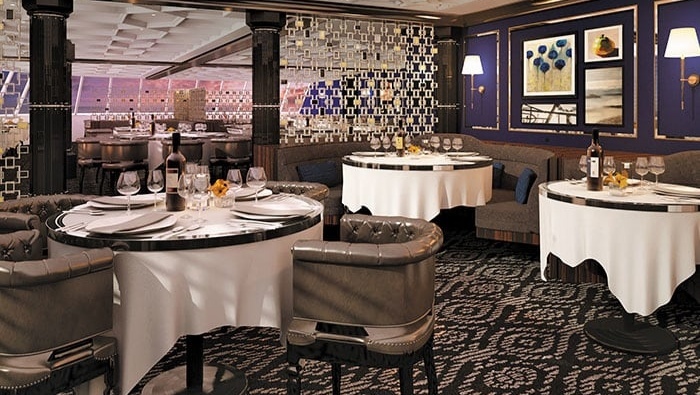 Designed as a specialized facility with 18 individual cooking stations, the Culinary Arts Kitchen on board Seven Seas Splendor offers a range of 20 new culinary classes teaching professional techniques and recipes by master chef instructors. New classes vary from teaching seven methods to prepare seafood to exploring emerging fusion cuisines from around the world. 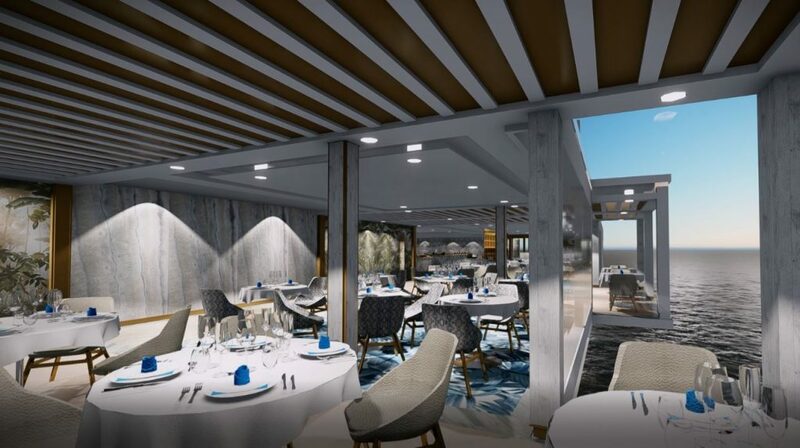 Exclusive to the inaugural season of Seven Seas Splendor are new Gourmet Explorer Tours delivering one-of-a-kind epicurean adventures, personally crafted by Regent’s Executive Chef & Director of Culinary Enrichment, Kathryn Kelly. Guests can choose from a variety of optional tours that take them to local markets to find exotic spices, sample delicious wines at breathtaking estates and savor gourmet meals expertly prepared by locally renowned chefs.